Today we’ll be talking about response rates. This post will be useful for those who use e-mails for outreaching or cold e-mails or anything else that requires response from the recipient. Of course, you can use selected tips to improve even direct sales pitches. First, let’s define what is a response rate – this is the number of actual and relevant responses to an e-mail, i.e. the number of people who actually took the time to read your e-mail and write back. Now that we’ve defined what e-mail response rate means we’d like to mention a key factor – personalization. Having in mind today’s generations’ online (and sometimes offline) behaviour shows that they love to hold the power to customize and participate. It doesn’t matter if it’s a service or a product they’re buying, they want something that is unique and is dedicated to their personal needs only. Besides the power to customize things to suit their individual needs, people also love to be “the center of the universe”, i.e. get special attention from brands and everyone out there. If they feel a brand treats them as part of a crowd without bothering about their personal needs they’ll just walk away and find another which will give them exactly what they want. That’s why businesses need to adapt and take “personalization” seriously if they want to survive the battle of all the competition out there, remain on the market, and profit. So, everything below is connected to personalizing the e-mail pitch so it can meet the target audience’s needs and requirements. 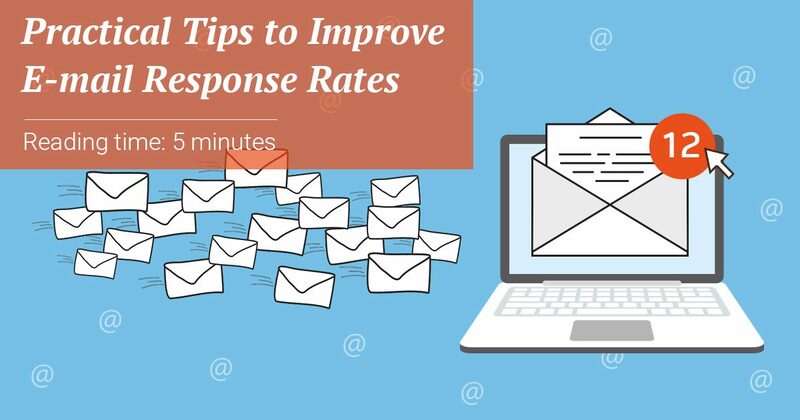 Here’s a short yet practical list of tips to help you improve your e-mail response rates. You’re not talking to an item. You’re contacting a person. You must have this in mind every time you’re writing an e-mail. Contacting Personal Assistants (PA’s) to request meetings with their bosses? Include their names (the PA’s names). There’s a bigger chance for them to open an e-mail that looks like it’s addressed directly to them than just “Request for a meeting with Bill Gates”. They are PA’s, they see those types of titles hundreds, thousands of times a day. How can you stand out? Sit down and do some research, take the time to find out what the PA’s name is. Then address the e-mail directly to them. Something like “Ms Simpson (or Jen, if you want to be more casual), I’d like to request a meeting with Bill Gates”. Remember, keep e-mail subject lines short. Anything that is more than 6 words usually doesn’t get much attention. I’m Peter and I have the perfect article for your culinary blog. I specialize in cooking, SEO, public speaking, and researching. I can also help with the popularization of the article and your blog. I am writing to you to offer you an opportunity to publish one of my articles in your recipes blog. I’m writing to you to offer you an article of mine that I think would suit BestFoodRecipes. I’ve been following your blog for some time now and I love the unusual combination recipes. My name is Peter and I’m a certified chef who loves cooking experiments and trying out different recipes. You can find some of my work in [Popular Recipe Blog], [Another Popular Culinary Website], [CookingChannelBlog]. Your blog can also be featured in those websites. Bonus: You can design a nice image of yourself with the short intro in the second paragraph. It’ll definitely make this type of e-mail more interesting. What to write and how to write it? Well, let’s take the example above. Start with a greeting and include the recipient’s name. Don’t forget to mention their academic titles if they have one or any other title that might be important to them (like Chef Tom). Continue with something that would delight the recipient. For example, you’ve followed their blog for a while, took the time to get to know them a little and so on. This is one of the methods to break the ice. Just be careful not to burst too much into their personal lives. It’s too much :). Mention the value the person would get. Forget about writing long lists of what you do and how you do it. Tell the recipient why they should bother to waste their precious time to read your e-mail. The above example does not include this part but it might be useful depending on your e-mail campaign type and what’s your goal. You can take the time to research the pain points of the recipient and mention them. For example the most common are: generation of leads/prospects, positive brand recognition and brand awareness. Then offer a solution that only you provide and is personalized depending on their exact needs. Call-to-actions. You can’t send an e-mail without a CTA and expect a shower of response. These tiny little words and buttons do wonders. However, you should be careful with their use. Don’t just put them as a second sentence or in the middle of the e-mail separating important information. Let the CTA’s follow the flow of the text. Forget about the “flashy” “shockingly” “cheap” “low” “prices”. People don’t buy this anymore. It’s just too annoying. Don’t overdo it. Keep things simple, write exactly what you might tell those people if you were in front of them. Don’t mention things that are not specifically relevant. See the example above – the chef blogger doesn’t need to know that the sender besides cooking deals with SEO and public speaking. No grammar mistakes. People tend to see those things even if they’re not big fans of it.Increasing e-mail response rates and conversion rates is mostly about experimenting, testing and finding the best solution that meets any person or business’s needs. Those tips will help you get started and see what works for you. 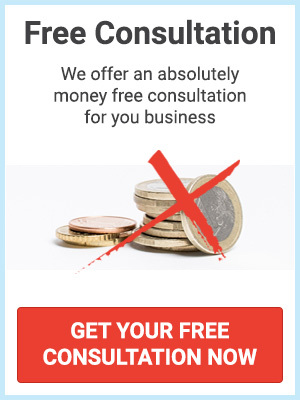 If you need help send us an email at contact@mokeez.com or start a live chat on our website with one of our helpful online consultants. For more useful articles follow the links below or look at the Categories section in the upper right column.